October 8, 2014 – (, Plano, TX , US) – Identity Management (IAM) SailPoint Consultant Click here for full details. October 8, 2014 – (, Long Beach, California , US) – Manager, Environmental Health & Safety Click here for full details. October 8, 2014 – (, Seattle, Washington , US) – Accountant Click here for full details. October 8, 2014 – (, Los Angeles, California , US) – Student Accounts Collections Specialist Click here for full details. October 8, 2014 – (, Palo Alto, California 94304, US) – Compliance Program Manager Click here for full details. October 7, 2014 – (University of Texas at El Paso , El Paso, Texas 79902, United States) – Open Rank (Borderlands) Click here for full details. October 7, 2014 – (, San Diego, California , ) – Customer Relations IT Specialist, Mid-level (IT Business Analyst) Click here for full details. October 7, 2014 – (The University of Texas at El Paso, El Paso, TX 79968, USA) – Assistant Professor (History – US in the World) Click here for full details. October 7, 2014 – (, Hawthorne , NV 89412, ) – Range Technician – Hawthorne NV Click here for full details. October 7, 2014 – (The University of Texas at El Paso, El Paso, TX 79968, USA) – Assistant/Associate Professor (Philosophy) Click here for full details. October 7, 2014 – (The University of Texas at El Paso, El Paso, TX 79968, USA) – Talent Development Consultant – 10066607 Click here for full details. October 7, 2014 – (The University of Texas at El Paso, El Paso, TX 79968, USA) – Military Student Success Center Assistant Director – 10019923 Click here for full details. October 7, 2014 – (The University of Texas at El Paso, El Paso, TX 79968, USA) – Coordinator – Donor Relations – 10021519 Click here for full details. October 7, 2014 – (The University of Texas at El Paso, El Paso, TX 79968, USA) – Sr. Development Researcher Click here for full details. October 7, 2014 – (Pentagon, Arlington, Virginia , United States) – Logistics SME Click here for full details. October 7, 2014 – (Tampa, Tamps, Florida 33607, US) – Head Superintendent Click here for full details. October 7, 2014 – (, Jacksonville, Flori. 32256, US) – Roofing Superintendant Click here for full details. October 7, 2014 – (Jacksonville, Jacksonville, Florida 32256, US) – Crew Manager Click here for full details. October 7, 2014 – (Tampa, Tampa, Florida 33607, US) – Personnel Manager Construction Division Click here for full details. October 7, 2014 – (Denver, Denver, Colorada 80202, US) – General Manager Click here for full details. October 7, 2014 – (Pentagon, Arlington, VA 20301, ) – Access Controll / Physical Security SME Click here for full details. October 7, 2014 – (, Washington, DC 20001, ) – Executive Secretary – Floater (1920-205) Click here for full details. October 7, 2014 – (, Washington, DC , US) – Information Systems Architect Click here for full details. October 7, 2014 – (, Alexandria, VA , US) – Java Software Developer Click here for full details. October 7, 2014 – (, Los Angeles, CA , US) – Data Analyst – Medicare Click here for full details. October 7, 2014 – (, Plano, TX , US) – Managed Security Systems Global Compliance Manager Click here for full details. October 7, 2014 – (, Philadelphia, PA , US) – Project Manager Senior Business Analyst Click here for full details. October 7, 2014 – (Philadelphia, PA, , US) – Software Developer .Net (Public Trust Clearance) Click here for full details. October 7, 2014 – (, Philadelphia, PA , US) – Oracle PL SQL Developer Click here for full details. October 7, 2014 – (, Plano, TX , US) – Americas Managed Security Services (MSS) Leader Click here for full details. October 6, 2014 – (The University of Texas at El Paso, El Paso, TX 79968, USA) – Space Manager (Facilities Services) – 10022137 Click here for full details. October 6, 2014 – (The University of Texas at El Paso, El Paso, TX 79968, USA) – Senior Systems Programmer – 10023128 Click here for full details. October 6, 2014 – (The University of Texas at El Paso, El Paso, TX 79968, USA) – Assistant Professor STEM Education Research Click here for full details. October 6, 2014 – (The University of Texas at El Paso, El Paso, TX 79968, USA) – Assistant Professor – Experimental Condensed Matter/Materials Physics Click here for full details. October 6, 2014 – (North Carolina Central University , Durham, NC 27707, US) – Building Environmental Services Technician – 100925 Click here for full details. October 6, 2014 – (The University of Texas at El Paso, El Paso, TX 79968, USA) – Assistant Professor (Medical Anthropologist) Click here for full details. October 6, 2014 – (The University of Texas at El Paso, El Paso, TX 79968, USA) – Police Officer IV Click here for full details. October 6, 2014 – (The University of Texas at El Paso, El Paso, TX 79968, USA) – Enterprise Technology Customer Support Representative – 10019121 Click here for full details. October 6, 2014 – (North Carolina Central University , Durham, NC 27707, US) – Default Prevention Manager (University Program Sp.) – 101707 Click here for full details. October 6, 2014 – (North Carolina Central University , Durham, NC 27707, US) – Administrative Support Associate – 203007 Click here for full details. October 6, 2014 – (, Millville, NJ 08332, ) – Production Scheduler Click here for full details.  October 6, 2014 – () – Senior Counterintelligence Analyst: TS/SCI Required Click here for full details. October 6, 2014 – () – Senior Cyber Analyst- TS/SCI required Click here for full details. October 6, 2014 – (, Tobyhanna, Pennsylvania , United States) – Overhaul Engineer Click here for full details. October 6, 2014 – (, Alexandria, Virginia , United States) – Business Manager Click here for full details. October 6, 2014 – () – Avaya Program Manager Click here for full details. October 6, 2014 – (, Houston, Texas 77023, United States) – Crane Technician 2014-1766 Click here for full details. October 6, 2014 – (, Baton Rouge, Louisiana 70821, United States) – Meat Cutter – Assistant Executive Chef 2014-1765 Click here for full details. October 4, 2014 – (, San Diego, California , ) – Hazardous Material Program Support, Mid-Level (San Diego) Click here for full details. October 4, 2014 – (, San Diego, California , ) – Mishap Prevention Program Support, Mid-Level (San Diego) Click here for full details. October 4, 2014 – (, East Hartford, CT 06108, UNITED STATES) – Manager, Quality Systems & ACE Click here for full details. October 4, 2014 – (, Philadelphia, PA , US) – Oracle PL SQL Developer Click here for full details. October 4, 2014 – (, Philadelphia, PA , US) – Software Developer .Net (Public Trust Clearance) Click here for full details. October 4, 2014 – (, Palo Alto, CA , US) – Tablet-Sales and Operations Planning Analyst Click here for full details. October 4, 2014 – (, Philadelphia, PA , US) – Software Developer – .Net Click here for full details. October 4, 2014 – (, Palo Alto, CA , US) – Retail Sales Manager Click here for full details. October 4, 2014 – (1105 Schrock Road, Suite 107, Columbus, Ohio 43229, United States) – Payroll Clerk Click here for full details. October 4, 2014 – (, Palo Alto, California , US) – Compliance Program Manager Click here for full details. October 7, 2014 – (1105 Schrock Road, Suite 107, Columbus, Ohio 43229, United States) – Finance Director Click here for full details. October 3, 2014 – (, Norfolk, Virginia , US) – Warfare Area Training Lead Support Click here for full details. October 3, 2014 – (, Norfolk, Virginia , US) – ATG Engineering Assessment Support Click here for full details. October 3, 2014 – (San Diego, CA, San Diego, CA 92126, United States) – Mover- Lead Mover Full Time $11-$16 Per Hour Click here for full details. October 3, 2014 – (, Norfolk, Virginia , US) – ATG Academic Training Tactical Data Link (TDL) Support (super-user) Click here for full details. October 3, 2014 – (, Norfolk, Virginia , US) – Joint/Partner Nation Training Team Lead (LANT) Click here for full details. October 3, 2014 – (San Diego County, San Diego Area, California 92054, USA) – Network Administration and Services Desk Support Click here for full details. October 3, 2014 – (San Diego Ca, San Diego, California 92110, USA) – Junior Information Assurance (IA) Analyst Level I Click here for full details. October 3, 2014 – (San Diego Ca, San Diego, California 92110, USA) – Information Assurance (IA) Analyst Level II Click here for full details. October 3, 2014 – (San Diego Ca, San Diego, California 92110, United States) – Senior Information Assurance (IA) Analyst Level III Click here for full details. October 3, 2014 – (, Norfolk, Virginia , US) – Joint/Partner Nation Training Headquarters Support Click here for full details. October 3, 2014 – (, Phoenix, AZ 43229, United States) – Bilingual Customer Service Representative – Inbound Calls Click here for full details. October 3, 2014 – (, Coralville, IA , United States) – Customer Service Representative – Inbound Calls Click here for full details. October 3, 2014 – (, Oak Brook, IL 60521, United States) – Senior Database Administrator Click here for full details. October 3, 2014 – (, Oak Brook, IL 60521, United States) – Manager, IT Customer Service Click here for full details. October 3, 2014 – (University of Texas at El Paso , El Paso, Texas 79902, United States) – Assistant/Associate Professor – Rehabilitation Counseling Program Click here for full details. October 3, 2014 – (University of Texas at El Paso , El Paso, Texas 79902, United States) – Administrative Assistant I Click here for full details. October 3, 2014 – (Many, Many, Many Many, Global) – Virtual Server Administrator Mid Level Position Click here for full details. October 3, 2014 – (Many, Many, Many Many, Global) – NETOPS Specialist Senior Click here for full details. October 3, 2014 – (Many, Many, Many Many, United States) – NETOPS Specialist Junior Click here for full details.